A good router is a difference between ordinary internet speed and amazing internet speed. I am sure you all would agree with it. A router is a networking device that exchanges data between devices through wired or wireless connections. If you have subscribed to cable internet service like Comcast, you would have noticed that beside the internet fee, you are also paying for monthly for renting a router. The usual costs are $5 – $10 per month. However, you would be surprised to know that you are just wasting your money away. If you purchase one of the routers mentioned in our ‘Best Router for Comcast’ list, you can avoid paying the monthly rent for the device to your Internet Service Provider. Many people may avoid this as the initial cost may look way too much, however you are going to recoup the total cost within the first ten to fifteen months. After searching through the market and researching on several hundred router models, we have diluted the number to the best ten routers for Comcast and other major cable ISPs in the USA. Below you are going to find all the ten of them listed, with details about their design and performance, pros and cons and the overall opinion. All the routers listed below are popular and reliable. They have been XFINITY certified for use with Comcast, but can with other major ISPs as well. 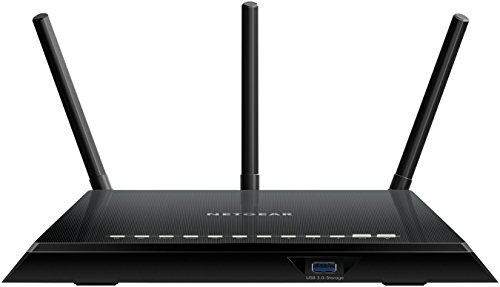 The Netgear N600 dual band router is a great product at a greater price. It comes with the performance of a typically high end router and loaded with features. The router looks much like the Netgear RangeMax family. It has a large round blue button at the top and eight LED lights in the front. The blue button allows you to connect other WPS enabled devices with the network, within a period of 2 minutes of pressing the button. Meanwhile, the LED lights show in which directions the antennas are directed. The router has an internal antenna design which allows it to me slimmer and more compact, compared to other routers in the budget range. At the back of the router body are four LAN ports and a single WAN port (broadband router). The ports work at 10/100 MBPS which is nothing more than extraordinary. The Wi-Fi controlling switch is also at the rear of the router, along with a USB 2.0 port for hosting an external hard drive. Perhaps one of the best thing about Netgear is that its products are equipped with the Genie software. The software comes with simplistic instructions to set up your router and get it running within five minutes of unboxing! Performance wise, the N600 offers both the 2.4GHz and 5Ghz bands. Both the bands have superb range, with the 2.4GHz a bit more superior. Since it is a dual band router, it can broadcast two signals at 2.4Ghz and 5Ghz respectively. Usually, you are going to find yourself using 2.4 GHz as it is more compatible with the domestic electronics. The 5Ghz, on the other hand, will offer better throughput performance as it is more exclusive. The network output speed is unfortunately not the best when considered with other Netgear products. However, this is normal for this price range. NETGEAR Genie App - Content filtering Parental Controls allow you to manage your network from anywhere. One thing to keep in mind regarding this router is that it doesn’t support Gigabit Ethernet, which is a bummer as all high end routers support Gigabit. 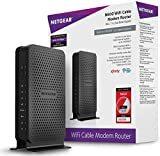 Overall, if you are looking for a reliable and all-rounded Wi-Fi router, without spending a lot of money, then the Netgear N600 is one of the recommended options. The lack of Gigabit Ethernet may be a turn off for some, but for most common users it would go unnoticed. Asus is one of the most popular names in the world of computer related hardware. In fact, the brand is also famous for producing some of the best routers. The RT AC88U is a router which has left people with more than what they were expecting. It is a high end router with a premium price, but its performance leaves most other routers in dust. The router’s aesthetics are modern and sleek. The black body is well complemented with red accents along the antennas. The design seems to be inspired from the Asus Rog range, which has a similar construction of red and black. The RT AC88U delivers a high speed performance. It has eight Gigabit LAN ports, which means that there will be no compromise in quality of speed. Since it is a dual band router, it can transmit signals on both 2.4 GHz and 5 GHz frequencies, and can also act as a NAS too. All in all, there is no sacrifice in speed or performance through Wi-Fi as well. The web design interface also reflects Asus’s commitment to the little details, with the whole design being easy to use and intuitive. Hence setting up and installing the router itself is very simple. Just connect the router to the PC and the internet, and wait for the Asus wizard to appear. The wizard gives an option of automatic configuration or manual configuration. After the configuration, you can proceed with naming the SSID and creating network security key for both the bands. Post these settings, all you have to do is just sit and enjoy. The Asus RT AC88U allows multi-client MU-MIMO streaming on both the bands. This works extremely fast and will not leave you with a balloon of anxiety because of buffering. The file transferring, reading and writing were also up to the expectations. 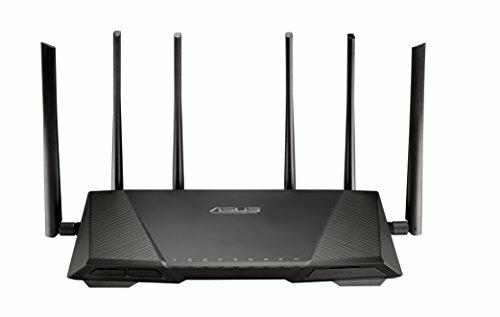 In general, the Asus RT AC88U is a champion in the router arena. However, one minor flaw in its armory is its NAS performance which is nothing more than ordinary. Moreover, the USB 3.0 is awkward positioned, leaving you struggling to connect your hard drive. Overall, there are few other routers in the market that can give competition to this beast, let alone be better than it. It is a worthwhile product, especially if you have the big bucks to spend. The Motorola MB7420 is a simple router which sticks to its job without any gimmicks. Design wise, the MB7420 is nothing special. However, it is this simplicity in its aesthetics which has appealed to its customers in the past. The tower structure is created with functionality in mind. Its black body outlines the colored LEDs, allowing you to easily read them off and check the status of your connection, without requiring to get close to the router at all. The errors are all color coded and there are no coded blinking to represent different errors. The top has the main led light, which represents the connection from your router to your service provider (Comcast), with green showing online, orange showing attempting to get connected and red showing failed connection. There are also color codes for power, LAN, data transferring and more. The details of the colors are labelled at the back of the router. The tower body design allows for minimal space occupancy and can easily fit in the narrowest of spaces. Performance wise, the MB7420 does not disappoint. It has sixteen down stream channels and four up stream channels, allowing for high download speeds of up to 686 Mbps and upload speeds of up to 143 Mbps. While this may not be the highest, but these speeds should more than suffice under the current standards. Even though the router is not the fastest of the options available in the market, it can automatically select the lowest traffic band, allowing minimal disconnections due to many people being online at once. Perhaps one of the features that makes this router stand apart from other routers in the market is the after purchase service as you get 24×7 access to Motorola’s North American call center for tech support. 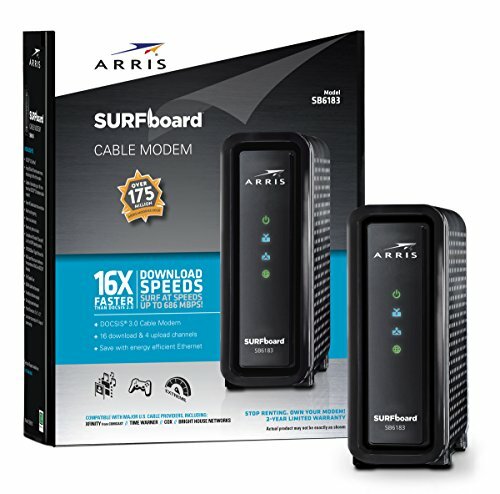 This 16x4 DOCSIS 3.0 cable modem provides speeds up to 686 Mbps, sixteen times faster than DOCSIS 2.0. A Full-Band Capture digital tuner ensures a faster, more reliable Internet. Setup is fast and easy with a few quick steps set out in a Quick Start guide. Experienced USA-based customer support specialists are there to help if you need them. Attractive, compact design minimizes shelf space, improves cooling, and extends product life while looking great in any home or office. A two-year warranty plus rugged lightning and power surge circuits protect your investment. The device can overheat quickly upon continuous usage and will feel warm upon touching. While this isn’t the cheapest model in the market, it is one of the most reliable ones. For a few extra bucks, you are getting a router that does not compromise on speed, has power surge protection and a lifetime support system. The Netgear AC1750 Smart Wi-Fi Router is a popular product to use with Comcast. It is highly in demand because of its extended Wi-Fi range. The router comes with a solid black body. Since it has three external antennas, its footprint is larger than routers with two antennas (11.22’’ at its widest). However, with the wall-mountable back design, you can just keep the router on a wall instead of letting it take space on your table. There are eight LEDs on the top of the body which show the signal connections. The LED lights can be turned off, which is unique and basically a win for you if you get annoyed with the blinking router in your room, while trying to sleep at night. The unboxing and setting up of the router is pretty simple. In fact, it takes less than a few minutes to get it running once it is unpacked and plugged in. You can configure the router by connecting it to your computer. However, if you do not have access to a computer or are not comfortable using it, the native Netgear app called Genie allows you to configure the router and manage your network through a phone. The app is free to download so there are no additional costs of using it. The app interface is well designed and everything is clear to comprehend through a list of buttons in the menu. You can make use of the app through, both, the iOs and the android systems. The AC1750 has dual band capabilities, allowing a parallel transmission of signals at 2.4Ghz and 5Ghz frequencies. The 5Ghz is a better developed and faster frequency, as it experiences less disruption and fewer disconnects. However, the 2.4 GHz has a greater range in general. The 2.4 GHz is also the more popular frequency if you’re wanting to connect your router with your mouse, microwave or phones. The router’s Wi-Fi range is quite exceptional. You would have to go several hundred meters away before you are going to notice a drop in your signals. This means that it can easily cover the average homes completely. Compatible with Amazon Echo/Alexa - Control your home network using voice commands. Dual band-Reduces interference for better connections to more WiFi devices. If you are living in a shared home or a small home with little space on your table, then the router can be a burden for you to keep properly due to its large size. With regards to the simple router and networking systems, no one improves then TP-LINK. Each time one of the enormous brands declares an energizing new bit of equipment, TP-LINK is directly behind them with a similar model at a small amount of the cost. In case you’re searching for a decent router, this one here is a great option. Regarding aesthetics, if you are going to keep your router in people’s view then you’ll value the beautiful body of the TP-Link TC-7620. In spite of the fact that it’s not very bold in appearance, there are slight design features that make it look like a top of the line product. Rest of the things a pretty much standard: you have the standard LED lights in the front, ports on the back, and a little stand that keeps it upright. Past the appearance, the router is really easy to use and delivers good performance. With 16 downstream channels and 4 upstream channels, this router is equipped for 686 Mbps download and 143 Mbps transfer. It may not be without a doubt the speediest on this rundown, but rather it’s one of the fastest in its price range. It is only a cable router and great for network services of up to 300 Mbps. You won’t locate any signal filtering tech in here, yet most buyers won’t see a distinction even if there was such a tech integrated in the router. Since it is DOCSIS 3.0, it allow for sixteen times faster download speed compared to previous versions of DOCSIS. Set up is easy: just take all cords out of old router and move to new router, open a webpage on computer and activate by following step by step directions. 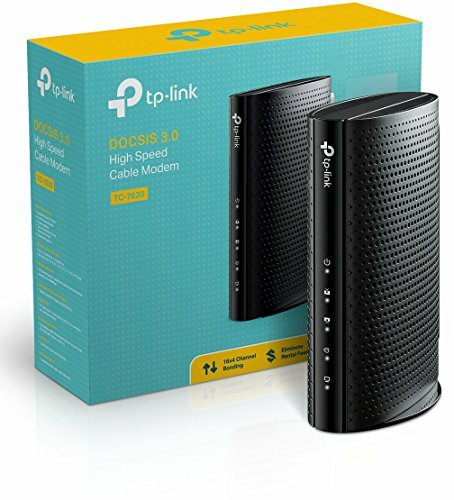 The TP-Link TC7620 is a pragmatic option for all those who want away from Comcast rented routers. You are certainly going to notice a difference in speed once from your usual $10 a month router. 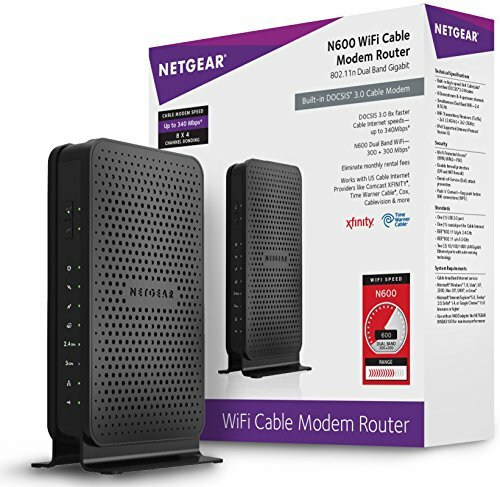 Netgear is a hardware company that has committed itself towards giving awesome, unparalleled network systems and solutions including their splendid wireless routers and routers. The company hits the nail on the head with the NightHawk series as during our testing, it was uncovered that the R7000 could very well be the best Netgear router we have utilized till date. 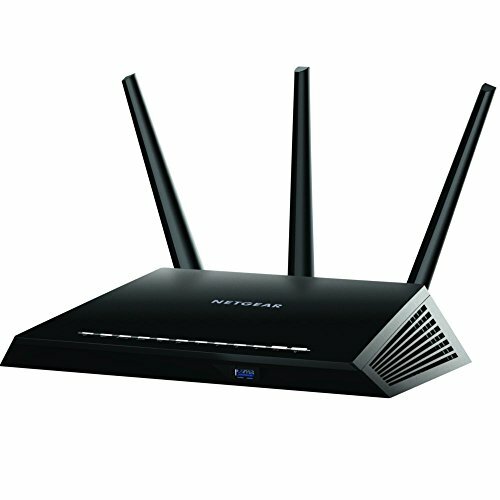 The Netgear Nighthawk R7000 looks like something from the military armory, as the name would propose. 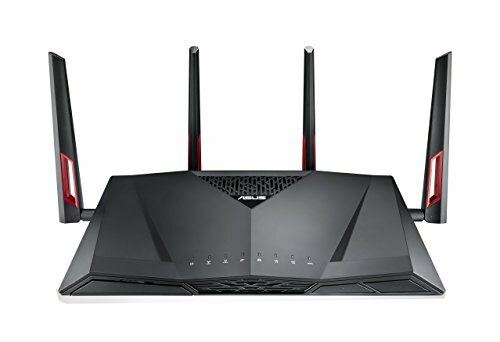 From the looks of it, the router looks stunning, it has the sleek and stealthy vibe to it, with an all-dark body and 3 antennas. Our sole issue about the design was the weight and the size of the Nighthawk; truly, the router is a flat out mammoth and needs some free space to be put effortlessly. However, this may just be a one-time problem as you can keep the router in a dedicated place. The Nighthawk R7000 has a dual band, with 1,300 Mbps speed in the 5 gigahertz band and a 600 Mbps speed on the 2.4 gigahertz band. (The Nighthawk series has another model R8000 however it is just a slight update at an incredible increment in cost.) It offers an exquisite execution, indeed, and is one of the quickest routers in the market. The execution on both 5 gigahertz and the 2.4 gigahertz groups is flawless and there are no hiccups or lulls during the usage. The Wi-Fi switch additionally figures out how to perform truly well on varying ranges, and the groups figure out how to give you bands give you the optimal signal based on your distance from the source. The router even accompanies QoS (Quality of Service) which is a component that allows you to configure with the upstream and downstream of your web service. The router can likewise be used as a NAS. Proceeding onward to the elements, the Nighthawk AC1900 is full of them. In the event that you are pondering what you’ll be getting, you ought to realize that this router accompanies the support for DD-WRT, which implies that it can run external firmware like Linux. It likewise accompanies the support for OpenVPN and because of the OpenDNS, there is an entire parental control bundle incorporated within the system. The Nighthawk is a bulky router and requires a separate space for itself. It is also heavy and cannot be considered as an ideal portable model, if you ever want to use if as one. In general, the Netgear Nighthawk AC1900 is an amazing router that offers a ton at the cost you are paying for it. Indeed, it’s massive and has some execution issues on the 2.4 gigahertz band. Be that as it may, considering the cost to execution proportion, the Nighthawk AC1900 is maybe one of the best switches you can purchase in the market at this moment. This router is one of the best offerings from D-Link, the company which has cemented its name as one of the best routers manufacturer in the world. Truly, this particular model is a standout amongst the most beautiful looking routers we have seen. The DIR-890 appears as though it was worked by race auto aficionados. The router has a general red body with dark accents. The router effectively figures out how to pop out of the background and if you have a PC or laptop with a similar color scheme, then the router is going to complement your setup very well. The DIR-890 is an astonishing router regarding speed and efficiency. Testing uncovered that the router is quick, simple to setup and utilize, and has a decent speed/run when utilizing for Wi-Fi. Another great thing about this router is that it accompanies the capacity to be used as a NAS by connecting a hard drive. 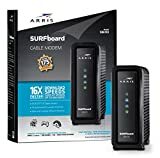 If you happen to inhabit a relatively large home and have a lot of Wi-Fi gadgets that need a reliable internet connection, this one is a must’ve for you. Despite the fact that it comes with six antennas and guarantees large range covering, on the off chance that you happen to have issues with antennas, you’d be pitiful to realize that they can’t be replaced. Amid the testing, the range appeared to be sufficiently encouraging. On the off chance that you need more LAN ports, the DIR-890 is not something you need, the router just accompanies 4 LAN ports instead of a few router that have 8 LAN ports. Apart from this minor deficiency, the rest is all good about this particular router. Do remember that the DIR-890 is a tri-band switch, and in the event that you happen to be a normal user who simply needs a router for ordinary usage, then this one will be a pointless luxury for you. Regardless of whether you cherish the design of the router, or the various elements it accompanies; the DIR-890 by D-Link is maybe one of the best routers available which give you a respectable performance at all times. On the off chance that you are searching for a router that has looks out of the world and is pressed with latest elements, the Asus RT-AC3200 is a win-win bargain. As should be obvious, this is a tri-band switch with a robust sticker price, however you ought to remember that various components that are pressed into this router alone are sufficient to legitimize the substantial sticker price it accompanies. So, in the event that you will spend your cash on a router that will give you, to a great degree, fantastic execution and plenty of features, then the RT AC3200 is the way to go. The switch looks very like what you would anticipate from Asus, with a sporty and modern look, albeit its weight is on the higher end. It has 6 antennas that can be separable and supplanted by more able ones, and despite the fact that the design alone can create an impression, it isn’t something that would be the offering point for this brilliant router. The RT-AC3200 is to be appreciated by all the users alike. It has a top level performance, being extraordinarily quick in every one of the tests we have done on it, and has a pretty decent execution over Wi-Fi, with respectable range. Another awesome thing about this switch is that it can also act as an OpenVPN server or as a NAS (Network Attached Storage) and you ought to be happy to realize that it makes a really good showing with regards to with both. 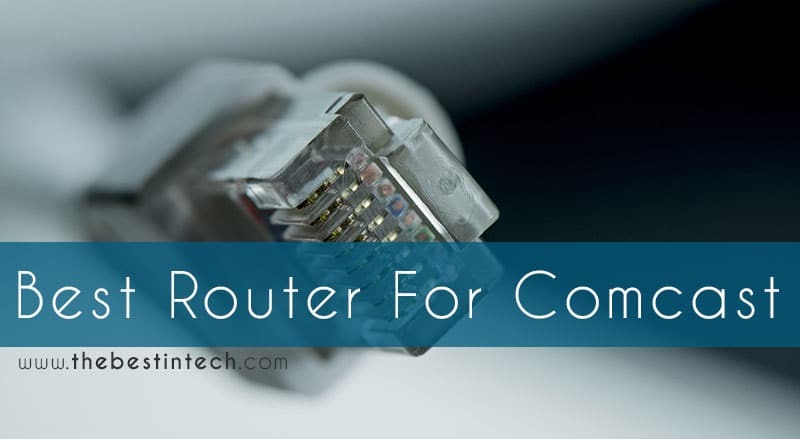 For setting up, the router has a pretty sweet web interface that makes it simple to setup, however, if you are using the router for the first time then you should realize that the broad rundown of elements may take some time to know about. Tragically, the router is missing on the LAN ports as it just happens to have 4 of them, however, if you are at a place where relatively few gadgets are associated with Ethernet links, then it shouldn’t be an issue. In general, the Asus RT-AC3200 is perhaps too powerful for a typical user, nonetheless. However, if you are just looking for an elite product, this is it. The router is efficient, looks great, and has a lot of features that will make up for the price. The SB6183, Arris’s most recent DOCSIS 3.0 link switch is the successor of the SB6121 and SB6141. The SB6183 intends to satisfy the regularly expanding requests for mixed media involvement with extremely quick broadband speed: HD Videos, web based games, shopping, downloading, working, making top notch VOIP voice calls, video conferencing, and running distributed systems administration applications. The router itself looks brilliant and crisp, with a white plastic case, with delicately adjusted corners and with vents for exhaustion. The router has a tower design and is very durable because of the rubberized base. It has a small footprint of 8.5×2.5×7.8 inches and weighing 22.4 ounces, so it’s anything but difficult to find a place to keep it. The front of the switch is home to the Arris logo, the model name and number, and additionally four status LED lights. The back of the switch has four unique subtleties and is where you’ll discover the Ethernet port (RJ-45 organize link association), a coaxial link connector and a Power connector. With the 16 channel, you can get up to 686 Mbps for your downloads. Upload speeds, however, stay at up to 131 Mbps. The router also incorporates a 1 GHz tuner that can make utilization of full downstream data transfer capacity to catch up to the 16 DOCSIS channels for holding. It additionally has a range analyzer, and a MoCA dismiss channel to ensure your MoCA and DOCSIS systems don’t meddle with each other. The router was designed to be efficient in energy consumption, however, it isn’t cool while working and can overheat. You should keep it in a position where the vents are not blocked. The SB6183 is a good choice for you if you have access to very fast cable internet plans. The Linksys CM3016 is a piece of the most recent trio of DOCSIS 3.0 switches announced by Linksys, it is a gadget deserving of thought and it impeccably fits with the more typical internet service from most network access suppliers. The Linksys CM3016 16×4 Cable Router is a shockingly in vogue gadget. Including a glossy dark case, the router certainly emerges with its sleek look. All things considered, it appears like a really straightforward and robust gadget. You have your LED lights on the front, and network ports on the back. Yet, the main thing you’ll see about the router is that it’s large, with an eight-inch height. However, it is the hardware inside which requires this large case. 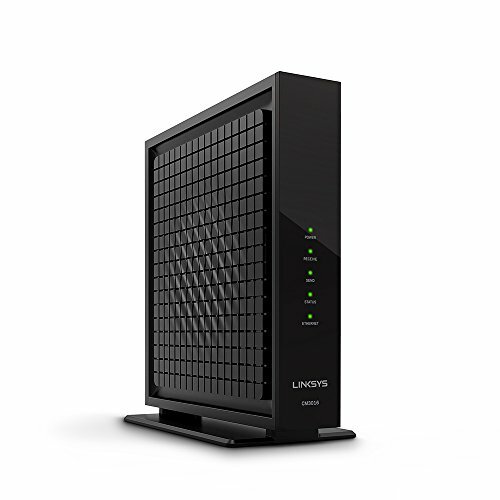 The Linksys CM3016 is a 16×4 DOCSIS 3.0 switch, so it can deal with up to 16 downstream channels and up to 4 upstream channels, which can help you to at the same time exchange large packets of information over various channels. In spite of the fact that the router has a Gigabit port that does not mean you will get a speed of ten times the normal Ethernet bandwidth. In the first place, the router itself can just go up to 686 Mbps (download) and 131 Mbps (upload) only. Furthermore, you require an Internet plan of 1 GB and that is exceptionally costly. The Linksys CM3016 is a fit router for the average user, equipped for dealing with any sub-250 Mbps internet packages and works very well with Comcast. Clearly, there are a few deficiencies for example, the absence of web interface and presence of a latency bug. It remains to be seen if Linksys releases an upgrade to remove the bug. Now that you have decided that you are going to opt for a personal router instead of renting it from the service provide, it is time that you know which features to look for and how to select a device which is best for you. First of all, you should be focused on getting a DOCSIS 3.0 router. In our list, all our routers have DOCSIS 3.0. DOCSIS is a standard of internet service which is being increasingly adhered by most ISPs. It allows for multiple channels simultaneously which gives a boost in internet speed. All the major ISPs are already working within the framework of DOCSIS 3.0. Hence, a router compatible with this standard will give you improved performance and a reliability that your investment is not going to go wasted in the near future. There are some areas where DOCSIS 3.1 is being used. However, these areas are very few in number and Comcast has no intention of increasing its use aggressively. In our list, we have highlighted dedicated routers as well as router-router hybrids. Both have their ups and downs. While router-routers come with more features and are more adaptive in communication with other devices, they can easily fail if one of the router/router part gets damaged. The cable router on the other hand is simpler, but usually has a longer life. Compatibility With Comcast: The most feature filled router on the planet won’t be much good to you if your ISP doesn’t support it. We’ve recorded the compatibility of the routers and have only listed the models which can be used with Comcast. We have not just relied on online information, but have looked at customer feedback about their device’s compatibility with Comcast. Should you choose to purchase your own particular router, you must affirm with your ISP that your router will work with the internet framework you’re paying for. All the routers listed in our list are XFINITY certified to be used with Comcast. Design: Most routers have a similar arrangement of LED lights: a power light, lights that show to you the status of your channels, a light demonstrating whether you have web availability, and a connection light that shows if your router is associated with a PC, switch or other gadget. You’ll need a router that shows these lights in an unmistakable, simple to-spot path on the off chance that you need to search any network issues. You’ll likewise need to consider the size of a router; a reduced frame makes it less demanding for a router to mix in with your other systems. The essential motivation to drop your ISP-provided router for one you own by and large is to save cash over the long haul. While that doesn’t mean settling on the least expensive router you can discover, despite everything you’ll need to search for one with a sticker price that is sufficiently low to pay for itself in under a year with what you’ll spare in rental charges. Why a year? Since some router producers furnish a year’s guarantee with their gadgets, however we support routers that accompany two years of guarantee as well. Some of our routers are pretty pricey as well, so you might skip over them if you want to recoup your investment within a year. The vast majority of the switches we’ve assessed here offer both eight or sixteen downloading channels and four uploading channels. The 8 x 4 switches we reviewed guarantee download speed of 343 Mbps, while the 16 x 4 switches list hypothetical download speeds topping 680 Mbps. This is a case, however, where greater isn’t essentially better. Expecting you have a web plan that guarantees download rates of under 150 Mbps — and there’s a decent shot you do — a 8 x 4 switch offers all that you would need. A 16×4 in this case would be wasting money. TheBestinTech.com is a participant in the Amazon Services LLC Associates Program, an affiliate advertising program designed to provide a means for sites to earn advertising fees by advertising and linking to Amazon.com. *Amazon and the Amazon logo are trademarks of Amazon.com, Inc., or its affiliates.